For over one hundred years, Bryson has been helping the most vulnerable people in Northern Ireland. Bryson Charitable Group manages the Befriending Services of the Safe & Well Project and is available to all those over 65 years of age who live in County Down and Lisburn, within the South Eastern Health and Social Care Trust area. *** The Bryson Care Volunteer Befriending element is just one of a plethora of free services on offer by the Project; the main aim is to improve health & well being, so that older people can remain living in their own homes for as long as possible. *** Many of our older friends have limited social contact and they can often be lonely. We realise too that it doesn’t matter if they live in the town or the country, they can still feel isolated and need a friend…. But our befriending is more than having a cup of tea and a chat! We work hard to ensure that older people retain / regain their independence and quality of life for as long as possible. Marie Curie Cancer Care is one of the UK’s largest charities. It was established in 1948 – the same year as the NHS – and marks its 60th anniversary in 2008. Employing more than 2,700 nurses, doctors and other healthcare professionals, we expect to provide care to around 27,000 terminally ill patients in the community and in our hospices this year, along with support for their families. We mainly care for people with cancer but we also care for people with other life limiting illnesses. Our services are always free of charge to patients and their families, which means that in 2007-08, we will need to raise more than £115 million. 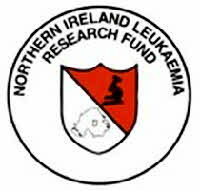 The main objective of the Fund is to promote research into the causes and cure of Leukaemia in Northern Ireland. It achieves this objective by raising funds throughout Northern Ireland. Leukaemia is the term used to describe a group of malignant blood disorders. They are classified on the basis of their clinical course (acute or chronic) and the affected cells, usually lymphoid or myeloid. Welcome to the Ulster Cancer Foundation – Northern Ireland’s leading local cancer charity, dedicated to helping save lives and enhancing the quality of life of everyone affected by cancer. Our new website provides information on the work that we do – providing support services, researching new and better treatments for cancer, undertaking education and prevention programmes as well as campaigning and advocacy work. It also shows how you can get involved. From volunteering to fundraising and undertaking challenges – there is something for everyone!